I had never tried or to be honest really heard of Burberry make-up before I discovered their stand at Stansted Airport duty free a few weeks ago. I had full knowledge that I wanted to splurge on something high-end that for once wasn't mac! The lovely lady at the counter helped me out as I said I didn't know whether or not to go for an everyday shade or something for special occasions. 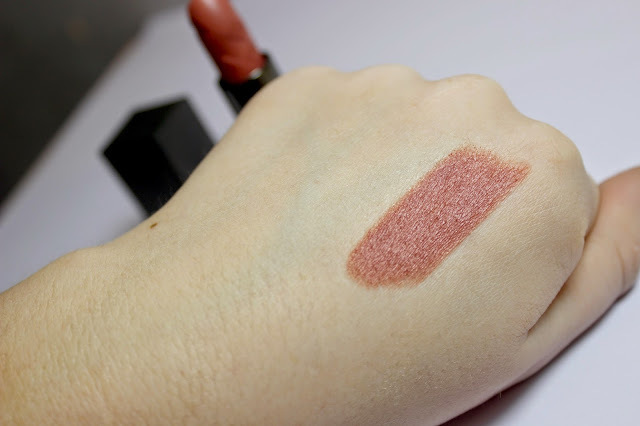 After about 10 lipsticks swatched on my hand and up my arm, I finally settled for this baby. 'Peony Rose' which is a lip velvet - so it looks pretty much matte on the lips but doesn't dry your lips out. Doesn't that sleek, definitely designer packaging just make you swoon!? 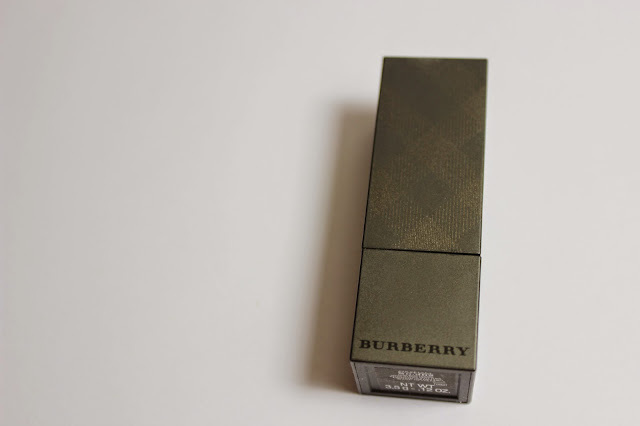 The actual packaging itself obviously has the trade-mark Burberry pattern on the front, and has a magnetic closure. On the lipstick itself it's even patterned too! I just feel luxurious when I hold it as well as wear it. It's definitely one of my go-to colours since I got it, almost a 'your lips but better' sort of shade, I love it! It has just above average staying power I would say, it doesn't wear off but if you eat something scrummy... a shake shack burger to say it does come off. 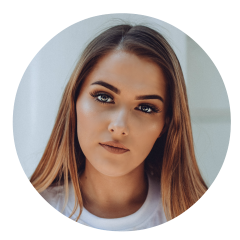 The formula feels very nourishing on my lips and I definitely want to try some more shades! I can't just leave this guy lonely, right? Have you tried Burberry make-up?